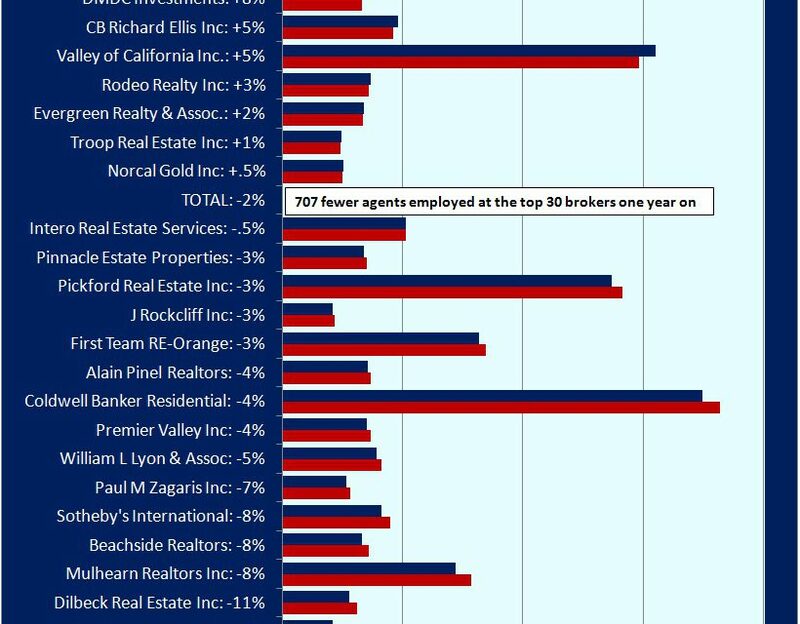 The above chart tracks the number of agents employed by California’s top brokers. This chart is an annual feature, compiled and presented by first tuesday. 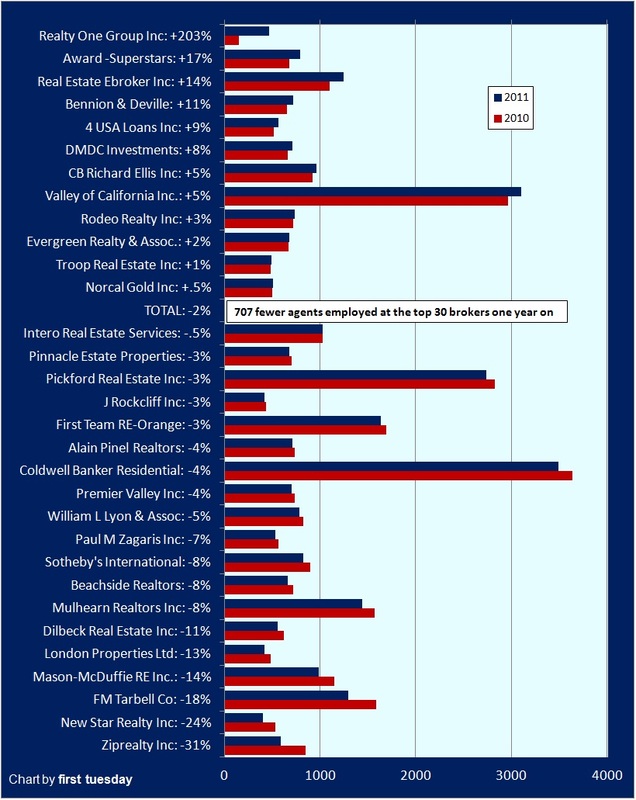 The above chart contrasts the number of employed agents in December 2010 and December 2011 at California’s 30 largest brokerages. 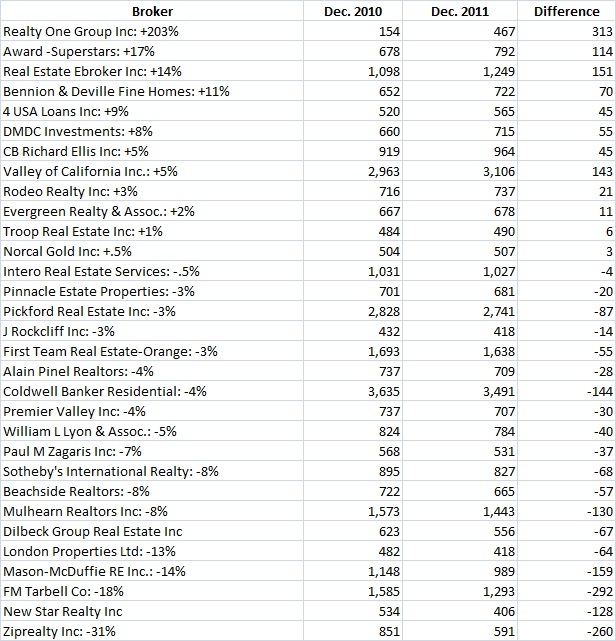 Take a moment to see how these large brokerages are faring in this recovery. 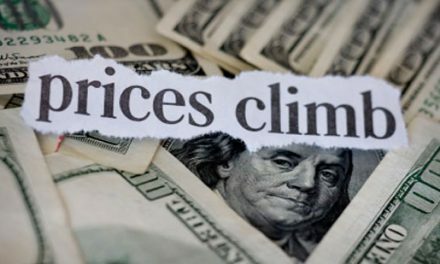 Which are taking advantage of this crisis to capture more agents and market share? 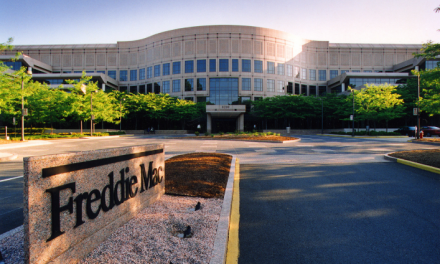 Notably absent are some of the nation’s top brokers. Some that made the top 30 in previous years, like Guarantee Real Estate and TRG Real Estate, have been supplanted by small fast-growing brokers like Award and Realty One. Most of the state’s major brokers experienced only marginal changes in employment over the past year, although some, like Realty One, added significant numbers. Since July of 2008, employment has dropped dramatically in almost every sector in California. Few industries, if any, have suffered as much as real estate (construction, insurance, finance, and agents and their brokers). 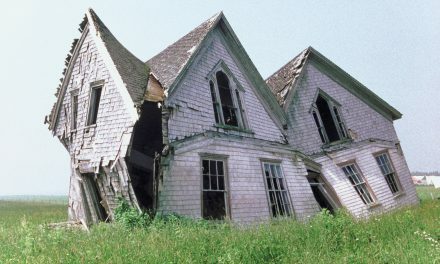 Agents and brokers now scramble to succeed in the half-priced turmoil of spastic REO and negative equity listings. Those that remain full-time are the ones that are successfully adjusting. This chart tracks only sales agents employed by brokers, and does not include the number of brokers employed by the same brokers. Note also that certain other big names such as Century 21 and Prudential are not brokers but real estate franchises. Franchises contract with numerous individual brokers who operate separately from the franchisor and employ agents. 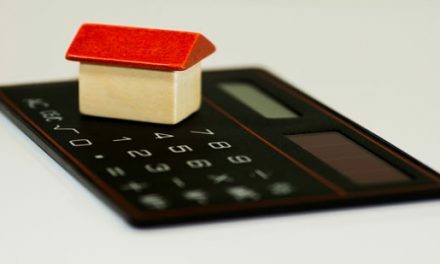 While the franchise may appear to cover several hundred or thousand agents, no one broker as a franchisee makes the list. Distinguish franchisees from independently branded brokers operating under their corporate name (those that made the list) which employ agents under one corporate broker’s license.